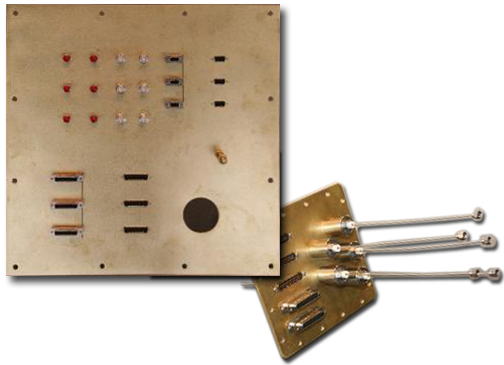 Lab Service Panels are made from brass, stainless steel or aluminum and can be gold or silver plated depending upon project requirements. All Panels are precision machined and can be pre-fitted with appropriate connectors or removable blank inserts for future use. Panels can be built per the customer's existing specifications or designed for a new project's requirements. For every pair of wires that enters or leaves the R.F. 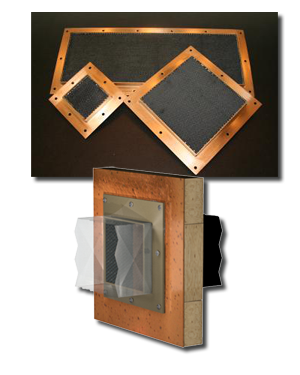 Shielded Enclosure, an Electrical Filter must be installed to filter unwanted signals and prevent them from entering or leaving the enclosure. Gaven Industries stocks hundreds of Electrical Filters for power lines, audio, telecommunication, fire alarms, lighting systems, etc. For unusual requirements, Gaven Industries will work with the filter manufacturer to have a custom filter designed and manufactured. As with any R.F. Shielded component, the entire performance of the R.F. Shield can be compromised by faulty penetrations. Gaven Industries' plumbing penetrations are made with this fact in mind! The threaded mounting bodies, and even the brass nuts are manufactured in house for the ultimate reliability when installed. The copper pipe is soldered into the mounting bodies and the nuts mating surface is perfectly perpendicular to the bore for the perfect - Lifetime Seal - every time. Insulated Plumbing Penetrations with required performance up to 10GHz are available if required when chilled liquids are used. This will prevent condensation and sweating that could cause corrosion. 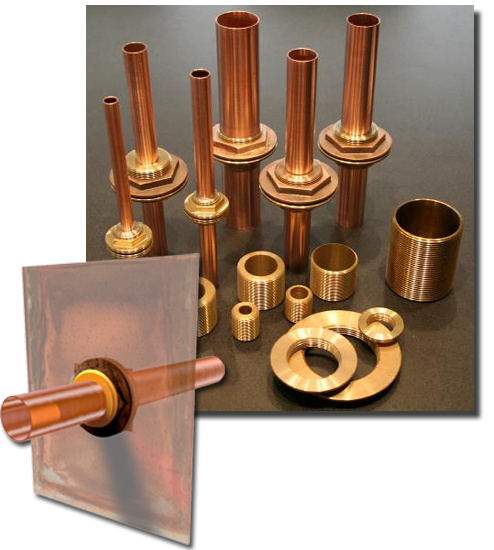 HVAC Waveguide Penetrations are constructed of brass, stainless steel and steel. All joints and seams are fully welded. When brass honeycomb is used, it is continuously soldered into its frame. No HVAC Waveguides are ever assembled with mechanical fasteners. 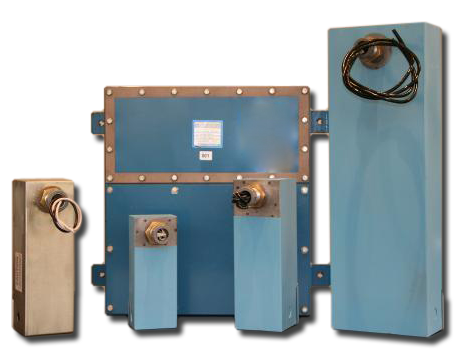 High flow - no clog - HVAC Waveguide penetrations are available for enclosures with performance requirements at frequencies up to 1GHz.